Attend an upcoming Webinar for Existing Agents or Agencies. Select what type of travel agent you are. 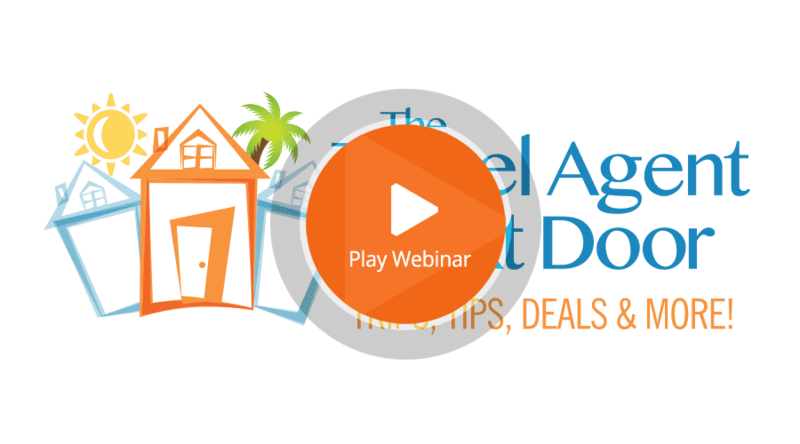 Our FREE webinars are designed to inform you, the new or experienced travel agent, how you can benefit MoreTM from becoming part of the Travel Agent Next Door.